Thanks Nick and everyone else involved. This just shows what a great community we have. I <3 free stuff, thanks Nick! Oh baby! Top stuff and free??!!!! Heres to the c4d community and you Nick! Wow, this is awesome. Thanks for posting! Wow! I am really at a lost for words. You continuously go out of your way to make such an amazing community. Thank you once again. This is so awesome! And thanks to whom ever else helped with making these models too! I was just thinking about LEGO models today 🙂 Awesome. MAN! That is beyond AWESOME! Very exciting! I´d love to see what people make out of it. Oh, and James will totally love the TRON bikes HEHE! I used to own a REAL VW just like that. Memories…. Thanks to the community for this, go monkey’s! Can’t wait to play around with it! Thank you Nick, you are the best! cheers, Mauro. awesome… a tutorial to animate the lego character perhaps? Gorilla, you are a superhero..
that s just sharing so much passion!! and talent!!! Nick, can I ask, WHY ARE YOU SO AWESOME!!! and I have not idea how!! just de final part when the text becomes the national geography logo. This would be best done with particular or could even be done with form. With both of these you can use a layer as the reference for the particle emitter. The trick is to work backwards. Stat with your text and then have it break up into particles and drift off. Then precomp that and when you use it just time reverse it so it goes backwards. Search AETUTS for text/particle tutorials I know they have several good one. Ahron Rabinowitz did a tutorial on exactly the same thing over at RedGiantTV. Thanks a lot to all the authors! And to Nick of course! Oh man…gorilla you are the best man i am new here i have been viewing all the tutorials for cinema 4d and after effects i will be a regular here from now onwards you have really helped me alot in learning cinema 4d i am a web designer basically by profession. Thanks Nick for the wonderful pack ! Wow! This is great! If I could make a request for the next version…Monkey’s pre-rigged magazine that he showed off in the tutorial that he did for GSG. Hell…I’d even pay money for it! Wow, a big thanks to all involved. Can’t wait to submit my own models, this community keeps giving & giving, great stuff. I had to do the top white stripe later in photoshop because I couldn’t figure out how to make the gradient work right across all the objects it was being projected onto. Any easy ideas for the future? I believe if you use the “slice” or cut tool and then just sell select all the parts at once then apply the material it should work, right. I’m new so that’s just an idea. Forgive me for the extra word in that haha… I’m still drunk from last night and now at work. Could you not use the Polygon Select tool and drag a new material to your selected polygons – rather than slicing the object up… Would have to be done for each panel but wouldn’t take too long. Amazing Pack tho – Thanks so much Nick – loving seeing the gsg community growing and doing things like this! Would def be up for helping out if you needed more models! Second, how do I have to do if I want to contribute and submit a model of my own ? Oh Mr. Gorilla! You are my HERO!!! I have a cool idea for the lamp. Hope I will find some time to try it soon. Hi Nick please explane me how u create pakcs? I want create the bilding pack (russian bildings) but i dont know how to create library pack. I would like to contribute. What should I do? One more, Why dont you make a link to a page where there are thumbnails from each one and with a click you download the one you want? That way you can keep adding models witch we/they offer to the grid and not really wait for the next big wave of models to make the model pack. Holy merry xxxmas in March! Wow! And all that for free! Yes, a paper airplane folded up on lined school paper would be cool. Go into Top Down view, drop a plane object into your scene, default size (400×400). Zero out all hight and width segments, you don’t need them. Make editable. Scoot the lot over in X by 200 units. Drop a Symmetry object into the scene, drop the plane_poly inside that. Basic piece of paper. Turn off the symmetry object for now. PolyMode: select your plane_poly. right_click>knife – cut diagonally, bottom to top. Select the new lower poly you just made:right_click>split. The selection on your original poly is still live, go to:Edit>delete. Switch to PointMode:select all. Right_click>optermise. Press OK – that deletes all stray points from your original plane_poly object. You now two adjacent polys – quick render they look like all one thing. Select your new right-angled poly. Go into EdgeMode: select the edge adjacent to the other poly. Hold down ALT and drop a new Nul object into the scene – as you will see this will automatically make the nul a parant of the new poly. Select the nul – You’ll find it’s bang in the centre of the new polys adjacent edge. Active the axis tool>rotate and with the shift key held down, rotate the nul’s axis 45 degrees across the Y axis. Deactivate the axis tool, go back into object mode and with rotate still active rotate the nul in X… say about 45 degrees. Viola – you have a piece of paper that folds in half – reactive the symmetry object, it does so across both sides. Basically, this is how you can not only model but animate a piece of paper folding itself up into anything you like. Drop a ClothNURBS object into the scene, drop the the symmetry and everything attached to it into that – select the clothNURBSand under Thickness give it a value of about 0.5 – your piece of paper now has thickness. Dont’t worry – not going to drone on much further. Take far too long the walkthrough the whole process, besides it isn’t entirely perfect – but – the outlined method gives you a reasonable idea of how you could go about doing it. You could, of course, always use bend deformers instead of cutting everything up – It’s a method certainly worth considering – it’s just basically I find it easier with cuts, dropping the new polys into nul’s, snapping the nuls to the edges that need rotating and just aligning the axis’s so as they run in the right direction. Once you’ve animated your rotations make a copy of the model, weld any separated points together that may have shifted slightly through the rotations and make that your hero_file. Hide its visablity during animation and then just swop out viability on the two versions. You’ll see what I mean in the scene file. Bugger. 🙁 No preview mode. what are the copyright or legal issues. like making money off them by putting them in a movie or something? Liked seeing my lego dudes in use too. thank you nick. nice models and some very interesting materials to boot! have a gold star! Thanks a lot. This is awesome ! the tron vehicle is awesome too! Thanks a lot Nick . Hope the upload button will follow soon . I´ve got a few older models i want to share . I thought id never see lego people driving a vw camper. But now i have! And its all thanks to you nick! All about health, healing and how your mind can bring you pure luck, 100% succes. This is not a pay-to-view or subscribe site, we offer real secrets of life. Nice! I’ve got some models I’d like to submit as well… looking forward to a submission form! This is awesome! I am working on a project and the camera is perfect. 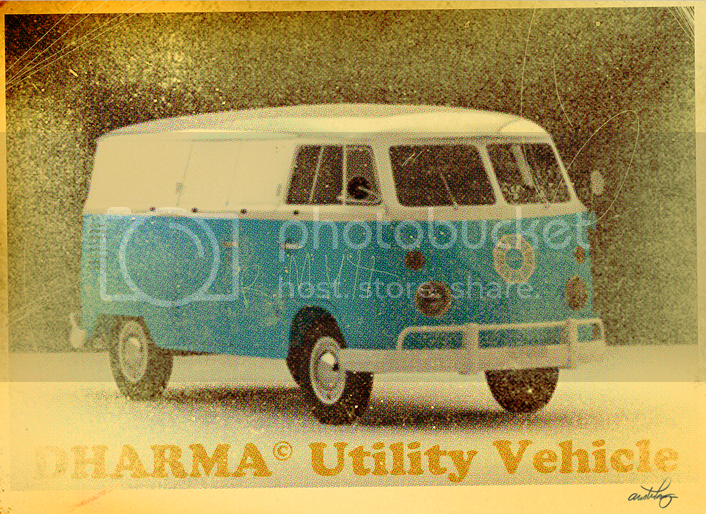 I put the VW van in this scene that I have been prototyping on. The van looks great. The textures don;t seem to be loading, did a search for one on the computer and it found nothing. I have v10.x maybe that’s the problem? Hi everybody.So I’m looking to get more into the 3d world . and am wondering what 3D application might suit my needs the best . I’m not looking to create ‘characters’ or do any rigging work . all i’ll create is motion graphics. So : 3D Max,Maya,or C4D ? i’m waiting your answer nick. I think Cinema 4D is easiest to learn and allows better results with less button pushing. Hope your trip is fun !! GI Irradiance Cache File cannot be written – please check output path! what do i do, any suggestions ? Go into your render settings. This is where you can specify a location. You may find that it it trying to save to Nick’s hard drive which is causing the problem. Input a new location on your machine and you should be fine. are you still accepting more models? Here’s a render of a project I did using the Volkswagen model from the model pack (as well as the Light Kit). It’s a redesign of Optimus Prime as a VW bus. We should extend this whit more models. I am a sculptor and I am planning to start working with Cinema 4D. I want to create virtual 3D sculptures with photorealistic rendering to produce “virtual catalogues” for potential clients or agents. I also want to show these 3D virtual sculptures in Interior scenes (living rooms, dining rooms, hotels, offices, residences, all rather modern and contemporary, etc) with Cinema 4D, and create Walkthroughs to show all the possibilities to decorate with my sculptures. As I am often bussy producing real sculptures or marketing them, I have been searching for 3D interior scenes already made, to save me time, but most are for 3D Studio Max (.max files). I came across https://greyscalegorilla.com/store/pixel-lab-model-packs/, and it mentioned “Many of these packs come with full interiors to house your scene. Not just individual models, but full scenes ready to use any way you need.” and finally came across your web page with your packs. However, I didn’t find any containing what I need. Do you have any packs with interiors (they need to be photorealistic, all ready to use, not much time for adding colours, textures, etc, editable, so that I can insert my sculptures and create walkthroughs, and very good looking) of interiors of residential houses, offices, hotels, etc. If not, do you know of anybody, web page, etc, who has anything like it? I have found some for Cinema 4D (dosch design.com), but would like to see more to choose what suits me best. I would be very grateful if you could send me an answer as soon as possible. Obviously, I am willing to pay, as long as prices are reasonable… Thank you in advance. Nick, the Free GSG Pack for the new C4D Training (which I love — thanks) is actually this download. So the files needed for those lessons are not included.